We’ve been genuinely surprised and delighted by the vast amount of replies we received for our first survey. 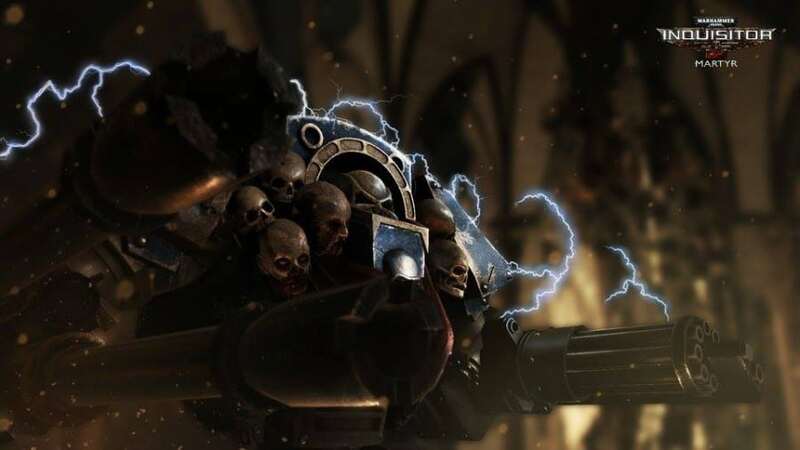 Your feedback is extremely valuable and it makes us understand better what you’d like to see changed (or unchanged, for that matter) in WH40K: Inquisitor – Martyr. The first question asked about the desired density of the enemy units on the maps. Roughly the half of those who replied were okay with the current setup; about 25% of you would love to fight bigger crowds (we get it: a greater number enemies equals even more epic carnage! ), and placed third come those who thought that the Elite creatures are overrepresented. We’ll take your insights into consideration, and in the future we’ll build our settings with slightly bigger crowds and smaller (but more varied) Elite groups. Please be aware that presently we can’t make such fundamental changes, because we are in the middle of finalising the technical details of the map design (super agro groups, scripting, tweaking the commander AI etc. ), but as soon as we are ready, we are going to relaunch the balancing phase with your feedback in sight. The second question was about difficulty. Roughly third of the responses indicated that there are difficulty peaks on the map, and about the same amount of people thought that weapons are not properly balanced. We will deal with both issues. We’ll start with rebalancing the weapons to make a rough second variant to the system, then we’ll continue with the maps. The maps will still need a couple of weeks, because currently we are busy with reworking the mission types to make them even more exciting and atmospheric, but as soon as we are finished, we’ll rebuild the maps too. Please be aware that we are not going to release a huge number of new maps yet, on the contrary, sometimes we’ll remove existing ones for testing purposes; but rest assured, we’ll have lots of questions about the maps in general, because we want to clean up the basic gameplay before we start uploading scores of maps to the big random pool. Our aim is to lay down a very strong foundation before we build the whole house, you see. We scored a solid 4 on the last question about lore accuracy and atmosphere, which made us very happy, but rest assured, we are aspiring to reach at least 4,5 there. At the moment we are busy working on all the necessary details and the environmental and atmospheric add-ons. The minute we think that the indoors and outdoors basic map tiles are ready structurally, we’ll start breathing life into the various locations of the Caligari Sector: think about all sorts of WH40K-specific equipment, typical and not-so typical Imperial settings, special random scripts and so on. Stay tuned, because we haven’t forgotten those seemingly small, but extremely important details like voiceovers for the enemy units, atmospheric sounds on the maps and vox messages from your retinue on your ship (be it a warning or information about the current map), not to mention the extra fine-tuning of the current sound effects and voice feedback from the character. Keep an eye on the Star Map, because in a little while you can expect the appearance of the random-generated mini-campaigns, the so-called Investigations. At some point during the next two months some unique Points of Interests will be unlocked as well, populated with new and special NPCs. Absolutely amazing. These results are perfect considering how soon it is after you launched the Founding. The roadmap looks great, the key issues pointed out with this survey aren't huge problems, and it seems that everything can be easily addressed. Keep up the good work! Keep up the good work & a big thank you for your community interaction! BTW I can't wait to see the dismemberment system in the game! Lorewise if you guys have specific questions i am sure that in the forums are lore savants! ( Me included ) we are always happy to nag like a dutiful citizen! Seriously though. You guys are amazing! Cannot wait to see what march has on its sleeve! If you can even keep yourself to half of the roadmap for this month I will be as happy as Kharn is on a battlefield! 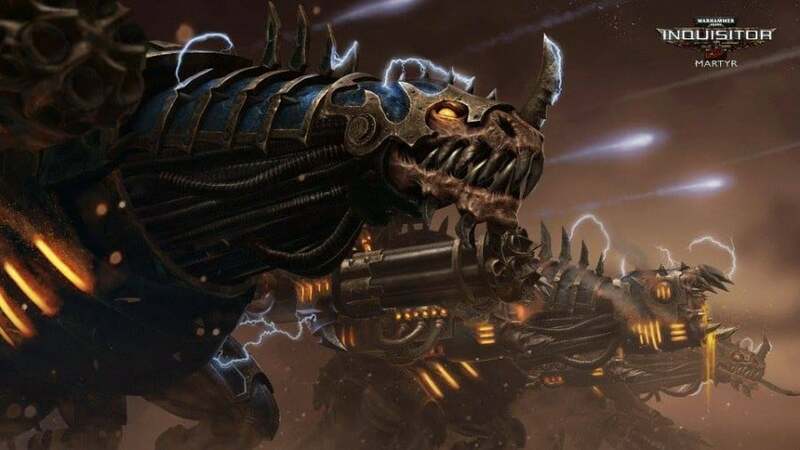 So many night lords flavored chaos in the images! So mission verity is in progress, enemy composition and placement is in progress and weapon balance is in progress? Excellent. The fact that tile-set work is your focus right now makes me pretty happy honestly. It's pleasant to see the focus on the fundamental nuts and bolts of getting things functional rather then moving on into adding more content immediately. This is the foundation stage and I'm optimistic for the future at the moment. "extremely important details like voiceovers for the enemy units, atmospheric sounds on the maps and vox messages from your retinue on your ship"
Snakefist will also re-post about his Mighty Sadness about the skill-trees... Which one does he like the best? One which gives +10% HP/Suppression as a Mastery, of course! This is caused by Masteries being "+2% damage on each consecutive strike, to a maximum of 40%, when cooldown is greater than 2 seconds" and so on... If that is worth 15+ skill levels... (Also: having Masteries such as this will cause all characters to be similar in nature, and differentiated only by gear equipped). This applies to *most* If/Then type of skills. I managed to click the survey away because I was on my way out of the door and just wanted to quickly see if anything new had been added since it was a while since I had last played. I thought 'I'll probably get this the next time I log in anyways and I'll finish it then' but alas there was no survey on next login. Which was a shame. 4,0 is a good score keeping in midn that half of GW and their autors arend in agreement about the Lore. like with the Heavy bolter. does it shoot fast? does it shoot bigger rounds? does it ahve a Beltfeeder or is it a Powersuply for the gun? we've seen it all. we've seen Space marines and we've seen Space marines that would beat up the other ones in large numbers. 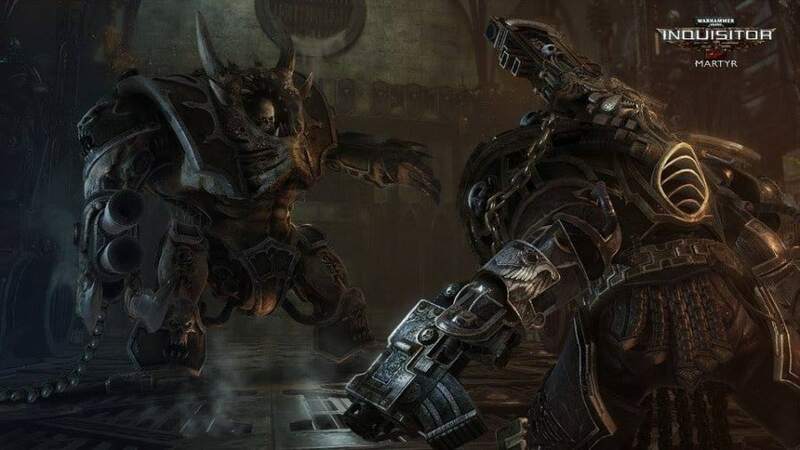 ive read books where i ahd the feeling siad Space marines are like Imperial Gaurd compared to the space marines ive read about before. there is no perfect consistancy in GW/Black Library. so a 4,0 is a Good position to be in. there will allways be the Beam-Melter and the Burst melter faction, you cant satisfy both completly (even though i love how you gyus handled the inconsitancy of the weapons by addin all the firemodes in. so everyone can use the gun the way they want. would realy love to see this System getting into the canon by GW. so we finaly can agree on how what weapon works. Doing a fantastic job guys. Really great so far. Really love the feedback from this dev team! Keep up the good work! Love the game so far, looking forward to the assassin. I love the game! I know it is still alpha, and i hope you will make it even better! For example, the Traitor Marines are way too weak. The Dreadnoughts too, in the tabletop, they are immence force if used properly. The deathworld feels empty and not deathly at all. No enviromental hazards, carnivorus plants, deadly animals of any kind. And a deathworld is a dethworld becouse of them, mostly. Keep up the good work Brothers, may the Emperor's light guide you!